Exogenous Testosterone and Testicular Atrophy in Men! I'm curious, is the problem with exogenous Testosterone that it raises your levels to supra-physiological amounts? Is it that the testosterone is coming from an outside source, and not being made by your own body? Seems like all of the comments on your site are about negative experiences with testosterone replacement therapy. Weighing my options and thinking that TRT is probably not the way to go. Two of the major side effects of testosterone replacement, are sexual highs and lows, and wild mood swings. Both are brought on by the completely unnatural spike in testosterone that TRT delivers. To survive this onslaught, the body takes protective measures almost immediately. The first to get hit are the testicles! To counter the invasion, the body quickly sends the signal to your testis to shut down the production of testosterone. Next comes testicular atrophy of course, because a non functioning testicle has nothing to do but shrink up, and whither away. There are drugs you can take to counter the atrophy, but they come with side effects as well. An let's not forget about the medication you would need to take to shut down the aromatization of testosterone into estrogen. Combined with the fact that the longer you're on the juice, the less effective it becomes. 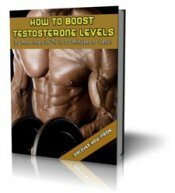 So over time, you have to keep increasing the testosterone dose in order to continue feeling the benefits. 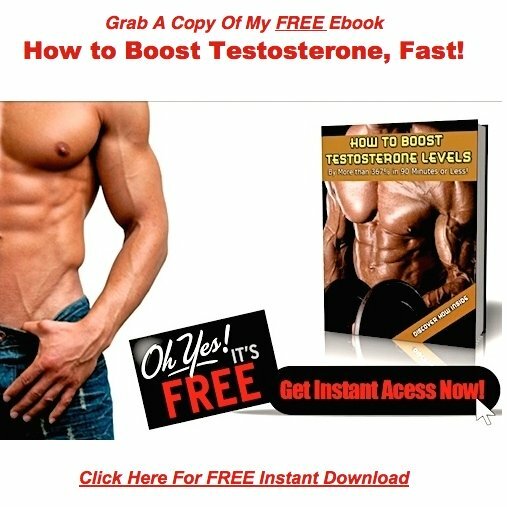 Of course, the more testosterone you take, the more likely it is you'll have to increase the dosages of your other drugs. Once you go all in, you need to be prepared to play this game for life, because the damage to your testicles may become so bad that going off is simply not an option. I'll finish this post off with a little tidbit, that should be a real eye opener for you. Every day, somewhere around 6000 visitors hit this website. Out of those 6K, about 50 send me emails. A substantial amount of these come from men who have gone on the juice, and desperately want to get off now. I'm on testosterone replacement, and I'm loving it...everything is working out great for me. No once has this happened! I'm a 42-year-old male who has been on testosterone replacement for nine months. Is there hope for me to regain normal testosterone production after that length of time? If so what are the best steps? Thanks a lot. Testicular atrophy is a medical condition whereby the testes shrink in size and decrease in function. It can be caused by some medications including testosterone replacement therapy. It occurs because of the suppression of the normal hypothalamic-pituitary-gonadal axis. It is a common side effect of steroid abuse in weight building because the steriods used reduce the amount of Luteinizing hormone (LH) which stimulates the production of testosterone by the testicles.